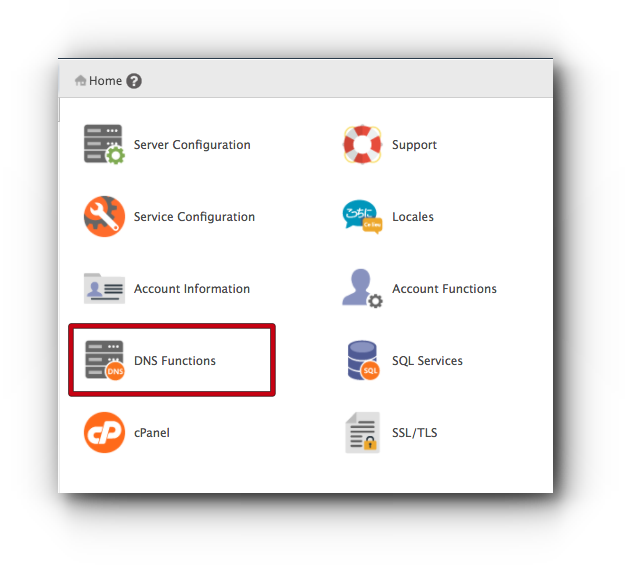 Home/Knowledge Base/Dedicated Server/How to set up SOA records? Home/Knowledge Base/VPS/How to set up SOA records? Step 2. 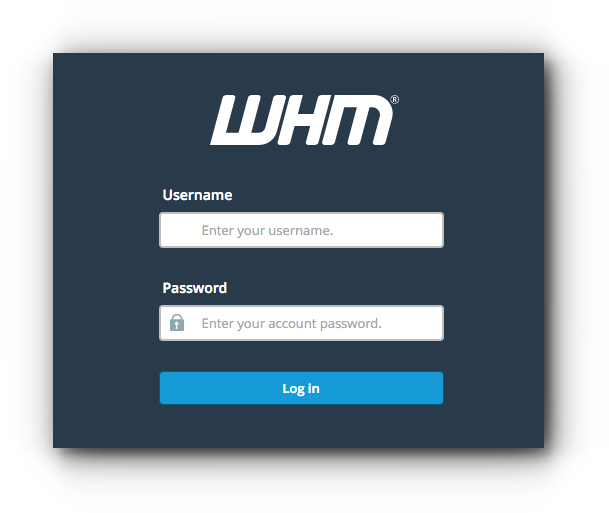 Click DNS Functions from your WHM Home page. Step 3. 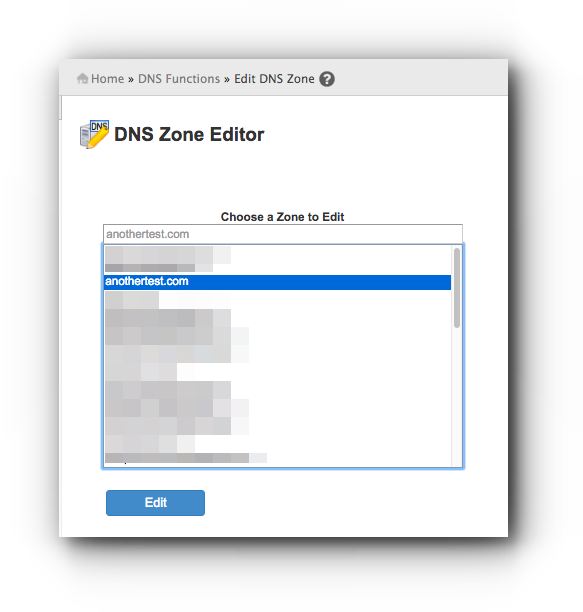 Select Edit DNS Zone. Step 4. If you have multiple domain names in your server hosting, select the domain name you would like to modify. Step 5. Click Edit button. Step 6. Look for SOA. 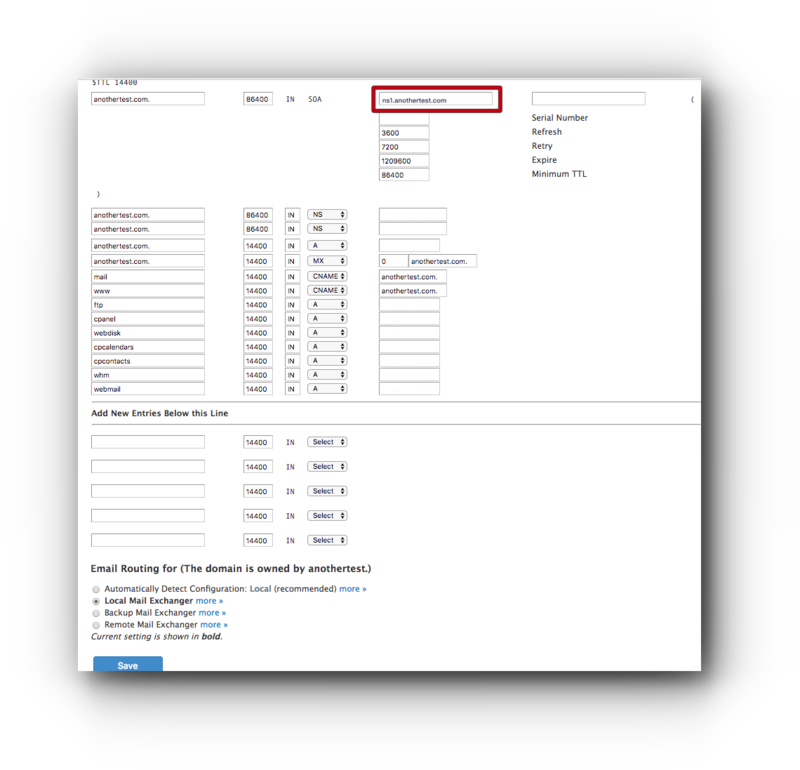 Enter the SOA records in the field (shown in the image below, click the image to zoom). You may also add other DNS settings on this page if needed. Step 7. Click Save button.